Come and join us at Centrepoint Midland with your little ones on the 1st Tuesday of each month at 9:30am to 10:30am for a morning of FREE fun and craft activity. Hosted by the lovely Brockman Community House staff, there will be stories, music, craft activity, playtime and FUN! Mum's and Grandmum's come, take a break and be celebrated at our May Free Little Crafty Kids Session! 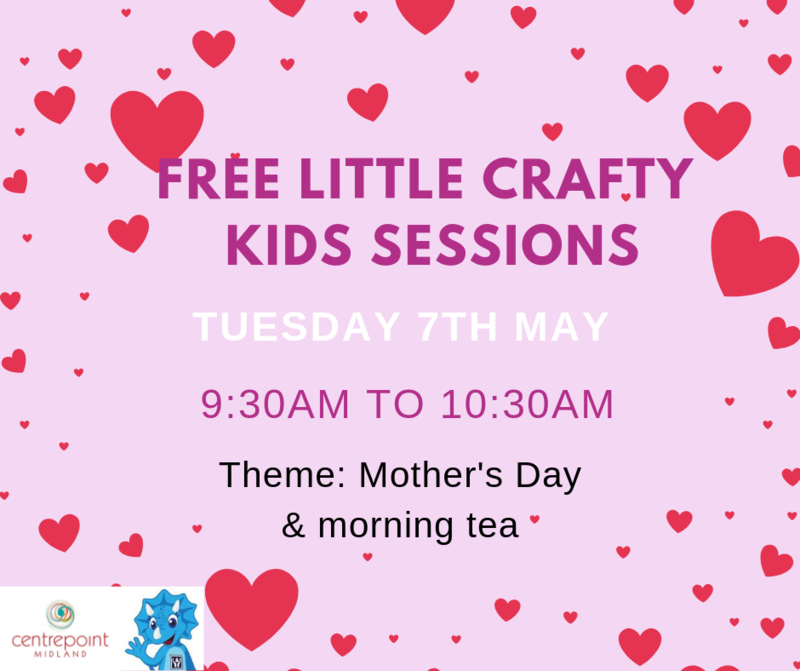 Mother's Day will be the theme of this session and the kids will get to create crowns & necklaces for their special Mum/Grandmum PLUS we will be having a morning tea, where kids can decorate a cupcake for themselves & Mum/Grandmum!